Ancient Sanskrit word Pavamana (पवमान) means purified or flowing clear. Pavamana is also another name of the Wind-God. Reference of Pavamana is found in Riga Veda (ऋग् वेद) as being purified or flowing clear. 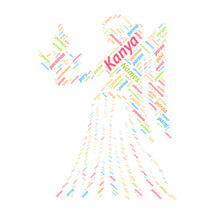 Mention of this name is also found in various Epics of Hindu mythology like Vajsaneyiya-Sanhita (वाजसनेयि-संहिता), Taittriya-Sanhita (तैत्तिरीय-संहिता) Kavya literature and Rajtarangini (राजतरंगिणी) in which Pavamana used as a wind or another name of God of Wind. Pavamana is also mention in the Purans (पुराण) and Taittriya-Sanhita where Pavamana is the name of a particular Agni who is the son of Agni and Svaha. 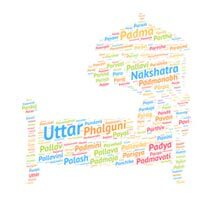 This name is also found references in the Bhagvat Puran (भागवत पुराण) where Pavamana is the name of a prince of Shaak-Dvipa (शाक-द्वीप). Pavamana is not a very popular name in India. As per social media records, Pavamana is adopted by some 18 people in India as the name of their kids. Pavamana is not adopted by any person in the USA as the name of their babies. Pavamana is a unique and beautiful name. Pavamana also has a great sort of mythological significance attached to it. The Pavamana Mantra is a Hindu mantra introduced in the Brihadaranyaka Upanishad. Pavamana suktam is a very famous chant from the Vedic tradition. Ancient word Kuru (Sanskrit कुरु) literally means attached. ..